Guess what, Vancouver? 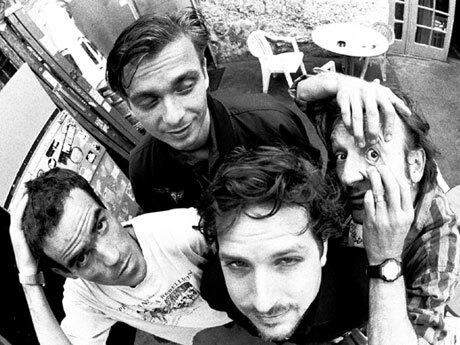 It's time for you to receive a taste of the reunited Jesus Lizard. While the band had announced that they were reuniting for a select number of shows throughout 2009 - a tidy decade after they initially called it quits - the influential noise rockers are now set to to sidle up to the city's Commodore Ballroom on October 24. While no other Canadian dates have been announced, we're figuring there's definitely room for some. From mid-July until November the band only have nine shows confirmed so far, including the Pitchfork Music Festival in Chicago and Seattle's Capital Hill Block Party. And knowing how tour dates like to come in groups, it's probably a wise idea to keep checking those listings. Tickets for the Vancouver show go on sale June 20 at ten a.m. via all the usual outlets, and you can check out all the Jesus Lizard dates confirmed so far here.